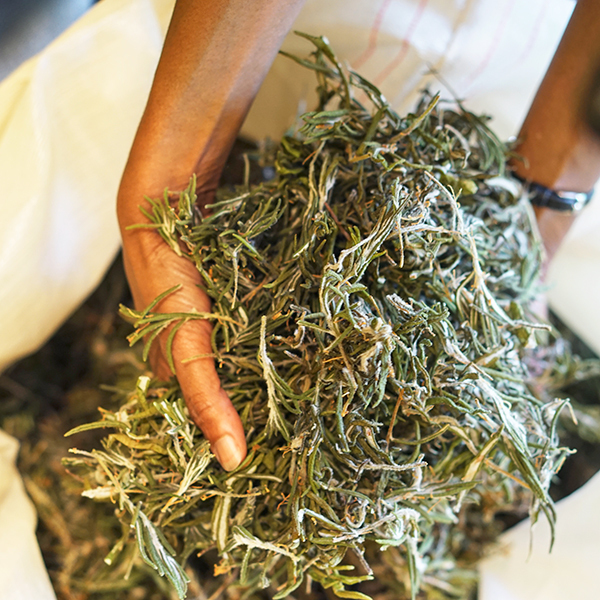 These willowy Labrador tea leaves are hand-harvested at the beginning of spring in the northern regions of Lac St-Jean. The first leaves of the season have a complex fragrance, incorporating hints of menthol and noticeable citrus notes. 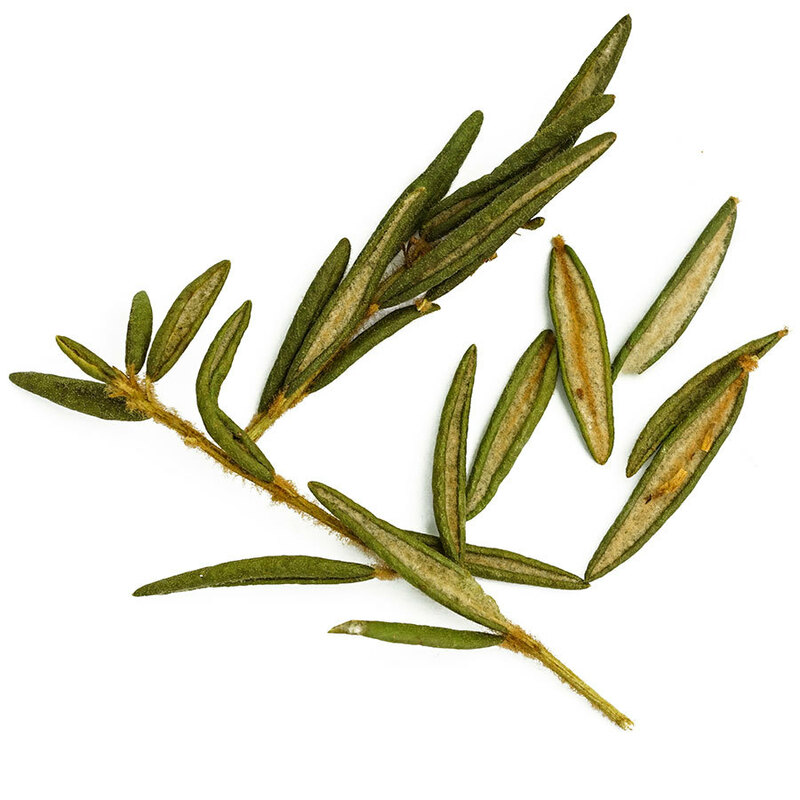 Labrador Tea is a shrub indigenous to North America- it is utterly unrelated to the Asian tea plant. It grows in peat bogs and other acidic environments around Greenland, Canada, and northern American states. 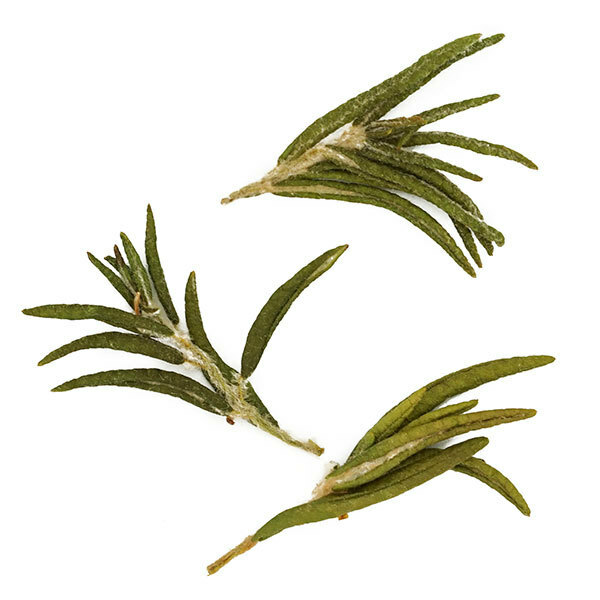 Its thin, feathery leaves make an incredible infusion. Its golden, lightly pale liquor with a resinous taste is reminiscent of pine and citrus and a sweet, lingering aftertaste. Labrador Tea is increasingly popular in Nordic cooking, where it impeccable enhances dishes made with red meats, game birds, or even desserts. It can also make for the base of a simple syrup for cocktails or pastry. 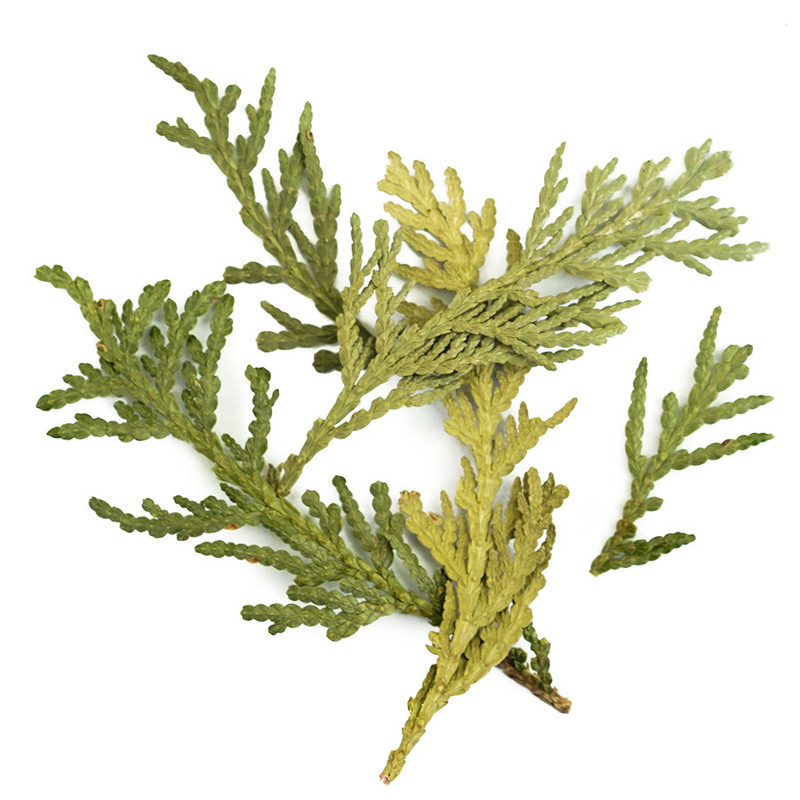 This versatile leaf is also a common ingredient in many Boreal herb and tea blends. It’s best to limit your consumption of Labrador Tea to 1 cup per day. It’s not recommended for children or women who are pregnant or nursing. A simple decoction can be made using Labrador tea. Just place the leaves in a pan of cold water, bring to a boil and let simmer for 2 to 3 minutes. A standard infusion in boiling water for 5 to 7 minutes, according to your personal taste, is also a viable option. For centuries, Native Americans from diverse communities have known about the medicinal virtues of Labrador tea. 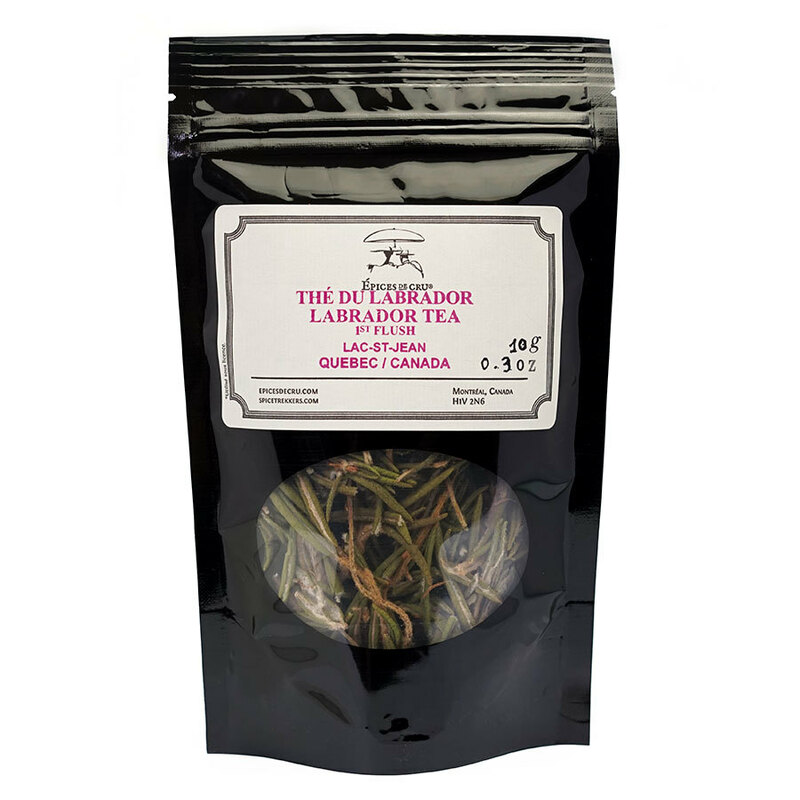 Labrador tea leaves are recognized for their antioxidant and anti-inflammatory qualities. The tisane is also very soothing and helps in combatting insomnia.